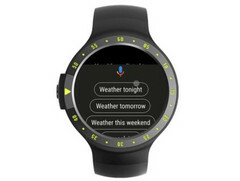 More than one year since the arrival of Google Assistant to smart wearables thanks to Google Wear 2.0, Wear OS receives a whole new set of features for smartwatch users. The highlights of this update include Google Assistant smart suggestions, spoken replies to queries, as well as more than one million actions. When it comes to virtual assistants, Google Assistant is one of the best — if not the best — solutions available. Although it was conceived as Google's answer to Apple's Siri, Google Assistant's main competitor is now Amazon Alexa. On smart wearables, this useful piece of code arrived with the launch of Google Wear 2.0. In the meantime, Google Wear was rebranded to Wear OS, and now the time has come for it to receive a new update that brings Google Assistant closer to the set of capabilities it provides to smartphone users. Although Google Assistant on Wear OS was able to receive voice commands in the past, now it can also talk back, making it all much easier, especially when using the smartwatch in conditions that make it difficult to read the text on the display. Even more, Google Assistant also gets smart suggestions with this new update, thus making the user interaction even easier and faster than before. At last, there is also the over one million of things you can do with Google Assistant. For example, "you can use your voice to preheat your LG oven while you’re unloading your groceries, ask Bay Trains when the next train is leaving, and more." Google calls these tasks actions and, since they work with third-party devices, more will be added in the future. Although some users of Wear OS devices can already enjoy these new features, the update rolls out in waves, so it might take a while for it to reach everyone. If you happen to be one of those using a Wear OS device, what do you think about these changes?